A pupil was found in possession of replica World War One bullets in a school workshop in the Borders. 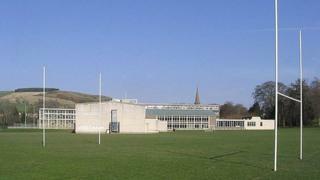 The incident happened at Galashiels Academy on Monday. Scottish Borders Council said the imitation ammunition had posed no risk to other students or staff. The replica bullets were confiscated and the pupil was "immediately instructed" not to bring such items into the school again. The school has made parents aware of the incident. It has also advised that it was "unacceptable" to bring such items to school.